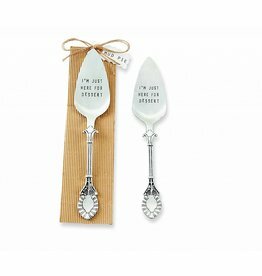 Vintage style "I'm Just Here For Dessert" stamped silver-plated cake or pie server. 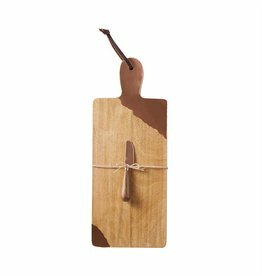 Wooden paddle charcuterie board with a copper dipped tin accent, leather loop detail paired with a copper-plated metal spreader with wooden handle. 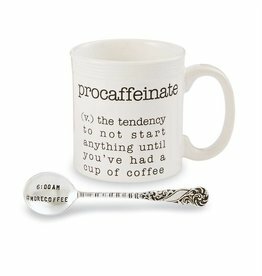 Ceramic mug features de-bossed "procaffeinate" definition and comes with vintage style silver-plated spoon stamped with "6:00 am #morecoffee"
Two piece marble serving board set features gold foiled textured raw edge and comes with spreader with netted gold metal handle. 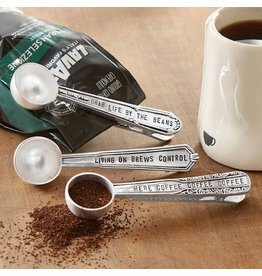 Dimensions: board 12" diameter | spreader 6 1/2"
Silver-plated coffee scoop and bag clip with "Living on Brews Control" stamped on. 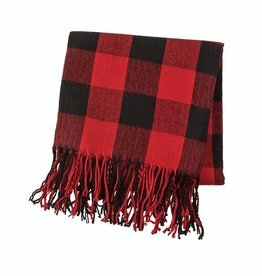 Flannel red buffalo check throw blanket with fringe hem. 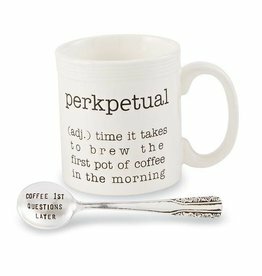 Ceramic mug features de-bossed "perkpetual" definition and comes with vintage style silver-plated spoon stamped with "coffee first questions later"
2-piece set. 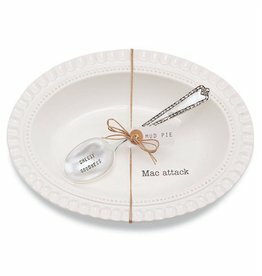 Ceramic macaroni and cheese serving bowl features scalloped edge, raised beaded details and "Mac attack" sentiment. 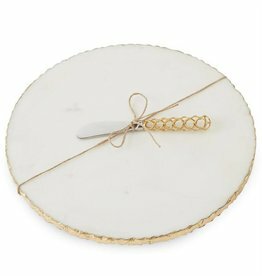 Paired with vintage-style silver-plated "CHEESY GOODNESS" serving spoon. 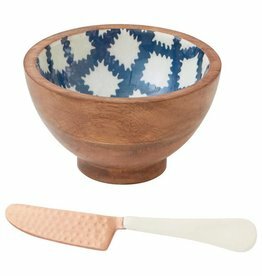 Mango wood dip bowl with enamel dipped tile pattern inside. Paired with a hammered copper plated spreader. 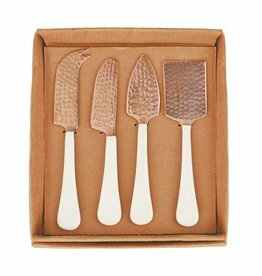 Hammered stainless steel cheese spreaders with a copper finish and glossy white enamel dipped handle. 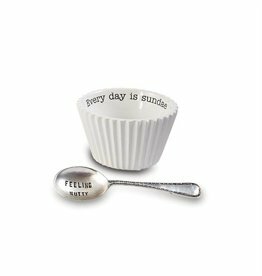 Ceramic ice cream bowl "Every day is sundae". 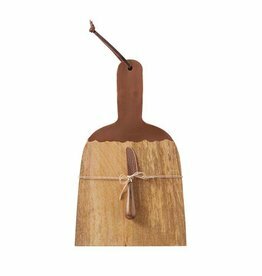 Comes with silver plated spoon stamped with "feeling nutty".